Our supplemental resource guide will provide you will additional tools and resources to help you on your path to franchise ownership. When I became a franchisee, it changed my life. If I didn’t want to take a business trip, I didn’t have to travel. If I wanted to go to my kid’s soccer game at 4 o’clock, I could do that! 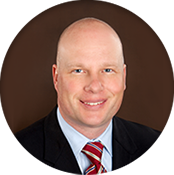 Pete is a former corporate executive and experience franchise consultant specializing in connecting successful business people with winning franchise opportunities. You could spend months sorting through the hundreds of available franchise concepts searching for just the right one, but who has the time for that? The dizzying number of options can be overwhelming. And this is a major investment. Calling in the experts will save you time, money and stress. Winning Franchise Solutions consultants have already done the legwork for you. We know which concepts work and which ones don’t. We stay on top of franchising trends, so we recognize the rising stars as well as the tried and true. Whichever direction you want to take, we can help you get there. You will never pay us a fee for our services. We are compensated by the franchises with referral fees for qualified candidates. We will never ask you to sign a contract or charge you for our services. Download your free HIRE YOURSELF Resource Guide today and take your first step toward the rewarding world of franchise ownership. What Experience do I Need to Start a Franchise Business? I thought about going out and starting a consulting company or some kind of executive coaching but I did not know how to do it or how to price coaching engagements. I am really glad I did not do this on my own. I would strongly recommend a franchise consultant who can really look at your strengths and opportunities and help you narrow down the exact fit that matches your skill set. Why did I choose franchising? Specific situations and systems are already designed for you. Franchise consultants have the expertise and tools to help you match your skills and opportunities to the business that fits best. Pete Gillfilan is one of the top 5% caliber people I know. We have had the opportunity to work professionally together; he is just as good as they come.